There is a lot to be appreciated of a quiet back road to get places. Each route has its own special qualities that can arouse the senses and imagination. Even in a busy urban location, certain places can bring the peace and quiet that one dreams of while they venture from place to place. 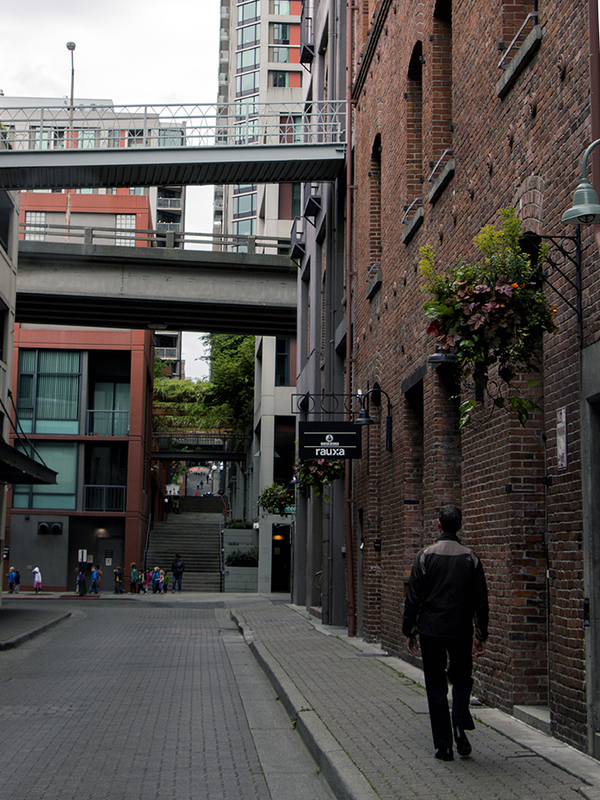 On This Day – While is Seattle 2 years ago, we came across this alleyway that was so quiet. No cars, no people, except one traveler walking along.